Are you in the middle of house renovations and in need of somewhere to dispose of all the rubbish and debris hanging around? Or are you an industrial construction company needing an ongoing skip service to help keep on top of excess mess? 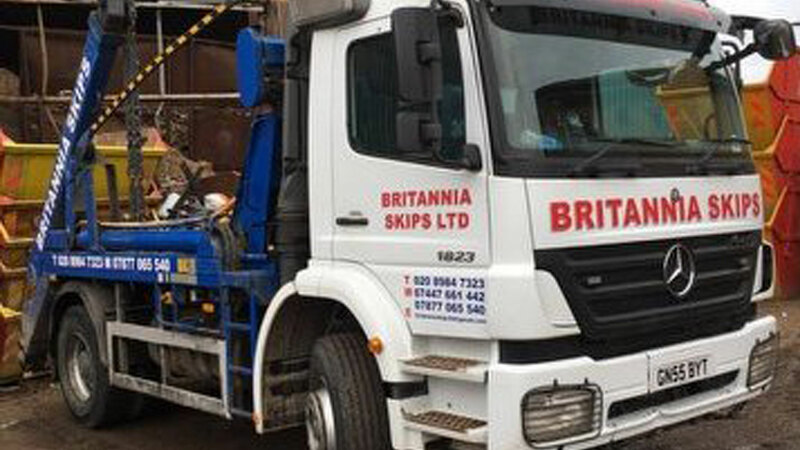 Britannia Skips are here to assist with all skip hire requirements in the Ilford, London area. We all need a good spring clean every now and again, meaning a high quality skip is always a big help for getting rid of the clutter. Lugging heavy bin-bags and discarded furniture to the local tip in the car can be a time-consuming nightmare, so let us do the hard graft with our cheap domestic skip hire in Ilford and dispose of your rubbish for you. Whether it’s to keep packaging build-up down to a minimum, or for somewhere to put the mess from a shop refit, a commercial skip from Britannia Skips will have you on the road to a waste-free workplace in no time. Contact us today, where one of our friendly advisors can set you up with a skip in no time. With same-day deliveries available, there’s no need to wait any longer to purge yourself of cumbersome rubbish with skip hire Services Ilford! TO ORDER YOUR SKIP, CALL US TODAY!